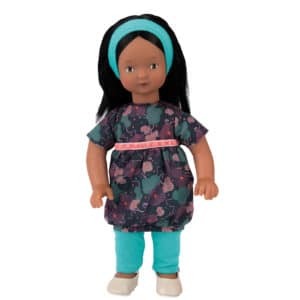 Clarisse has beautiful dark brown thick & curly hair with a cute fringe and sweet little hand painted freckles. 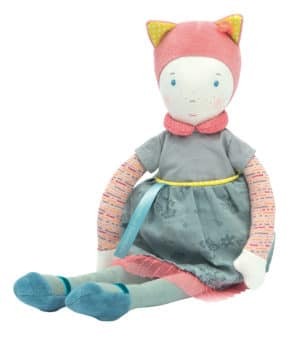 Part of Moulin Roty’s classic Ma Poupee range, Clarisse is a soft bodied doll with vinyl head and limbs. 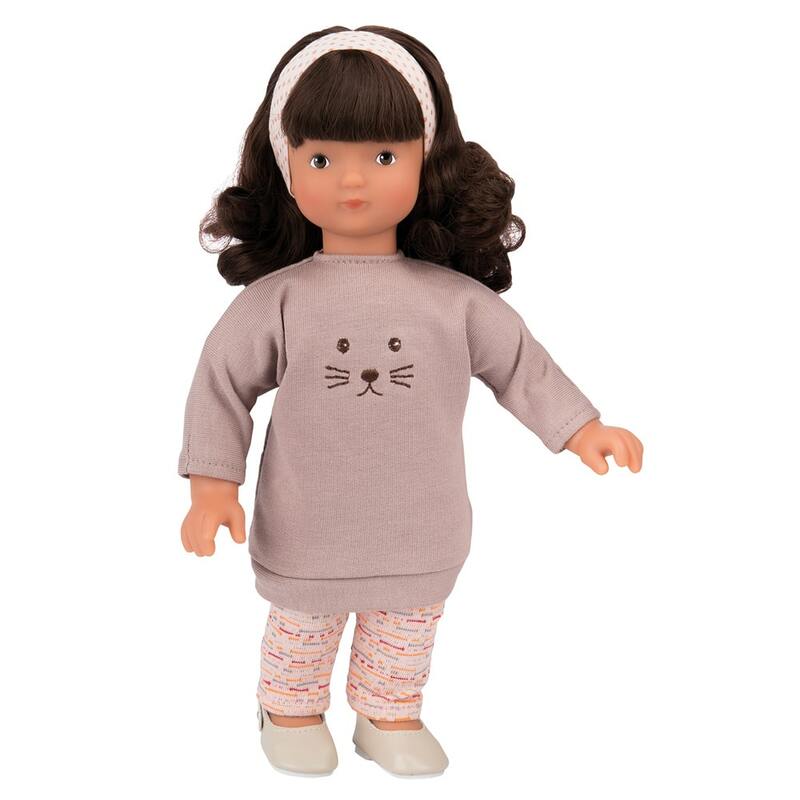 She is wearing a long style, coffee coloured jersey jumper and jersey leggings with sparkles. 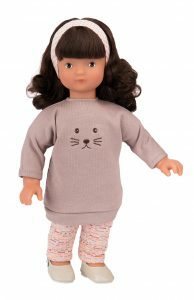 Her jumper has a cat’s face embroidered on the front (very cute) and her outfit is completed with a head band in a co-ordinating fabric and a pair of soft, strapped shoes with a flower on each side (clothing is removable). 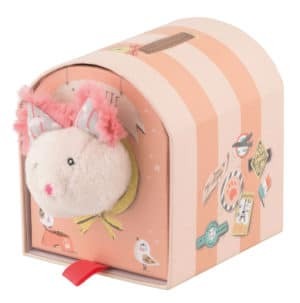 Clarisse is presented in a lovely mauve gift box – a perfect gift! 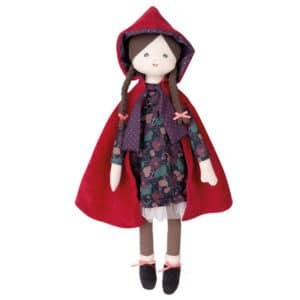 Additional clothing sets are available. Care instructions: Clean with damp cloth. Hand wash clothing (cool).